Based on last 30 days transactions for Detached Properties in the Patterson community. The Home Investment Value Analysis (or HIVA for short) allows you to see trends in home prices for a specific type of house in a given neighbourhood. 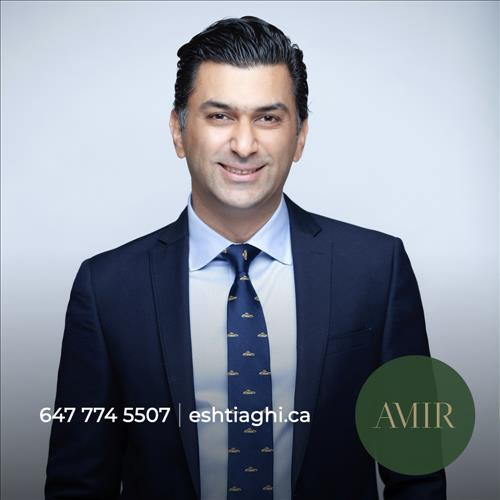 Combined with the knowledge, experience and skills of your REALTOR®, Amir Eshtiaghi, the HIVA allows you to better understand these trends and how they can affect the market value of this property. It also provides you with the best options to approach your life's most important investment decision with greater confidence. over the last 3 years. * Based on last one year's price appreciation trend for the same property type in the same community. NOTE: The MLS benchmark price is to track price trends and consumers should be careful not to misinterpret index figures as actual prices. Benchmark properties are considered average properties in a given community and do not reflect any one particular property. The trademarks REALTOR®, REALTORS® and the REALTOR® logo are controlled by The Canadian Real Estate Association (CREA) and identify real estate professionals who are members of CREA. Used under license. The trademarks MLS®, Multiple Listing Service® and the associated logos are owned by The Canadian Real Estate Association (CREA) and identify the quality of services provided by real estate professionals who are members of CREA. Used under license. This website is not intended to replace professional financial, investment or legal advice. Though we have endeavored to provide the most accurate and timely information available, some of this information is complex and subject to rapid change. As a visitor to our website, you acknowledge and agree that any reliance on, or use of any information available on this website shall be entirely at your own risk. All information displayed is believed to be accurate but is not guaranteed and should be independently verified. This website may only be used by consumers that have a bona fide interest in the purchase, sale, or lease of real estate of the type being offered via the website. The data is deemed reliable but is not guaranteed accurate by Toronto Real Estate Board (TREB). Listings here do not represent all Toronto MLS® listings however as a member of Toronto Real Estate Board (TREB), we have access to all Toronto MLS® listings.